Safe disposal of sensitive information. 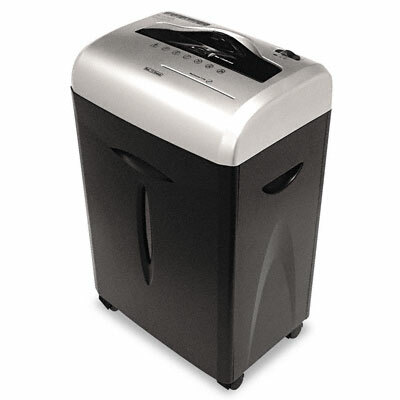 Reliable, medium-duty shredder is ideal for moderate home, home office or deskside use. Cross-cut offers safe disposal of sensitive information. ShredSafe technology automatically shuts off machine upon "forced entry." LED indicator lights show power status, over load, over heat and door open. Pull-out wastebin makes disposal of shreds quick and easy.